SMTT 2.0 news 01/10/2016: Test it free of charge! Get your free private license key now! Limited offer. To get a free SMTT 2.0 licence key just visit the Downloads-section. The key is valid until end of February 2016. Enjoy testing! 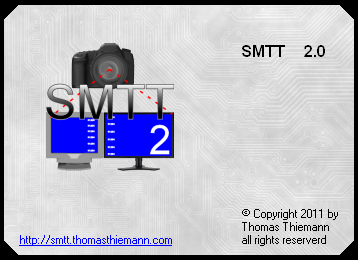 With SMTT 2.0 you will save time: Optimized outputs speed up the time-consuming evaluation process of every single photo taken and increase the accuracy of your readings. The brand new user interface is optimized for the highest possible ease of use. Get the best performance, get the easiest handling: Get SMTT 2.0! The support for old SMTT revision prior than SMTT 2.0 ended on 16th of November 2011. Please upgrade to SMTT 2.0.